Rhapsody, the music store jointly owned by Real Networks and Viacom Inc's MTV Networks, is about to launch a media assault of $50 million dollars to promote its new and changing music store. Rhapsody is the music store for MTV music sites and iLike, one of the most popular music applications on Facebook. It already sells music on a subscription service, allowing unlimited song streaming for $13 to $15 a month,. 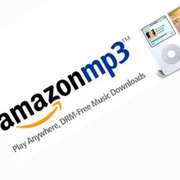 It now will sell MP3 downloads with the goal of getting them played on iPods and join the band of players, Napster, Amazon, WalMart, now challenging iTunes. Rhapsody will also now be available on mobile phones via Verizon Wireless's Vcast music service, enabling users to buy and download a song via their mobiles. Last month Napster Inc joined WalMart and Amazon inn launching their MP3 store. Recently Amazon announced the roll out of their MP3 offer to the UK and globally. However iTunes continues to dominate music sales in the United States selling over 5 billion songs since it launched in 2003. At one end we see the four major music manufacturers removing DRM and now at the other end the take-up and availability of these files via major retailers, music traders and the likes of Nokia. We also see a blurring of subscription and download which is going to offer consumers even more options. What is clear is that iTunes will not have it all their own way moving forward. Can you imagine Waterstones or Borders invented the latest microchip, or Folyes developing a new ebook reader technology? We now expect companies to do what they are good at and not to deviate into unknown and new ventures and we would not expect a retailer to become a computer company. However, in 1951 David Caminer, an employee of the UK British tea shop chain, J. Lyons & Company, created the LEO ( Lyons Electronic Office) computer. LEOs were sold to Ford, tobacco companies, a steel maker, and around the world and it was choosen to handle the UK’s telephone billing system. On Jan. 9, 1965, when the first LEO computer was turned off forever, The Daily Mail published an obituary. The inventor David Caminer died June 19, 2008 in London aged 92. Today European travellers have to unlock their mobiles and carry a number of different service Sim cards, subscribe to a more expensive option that covers multiple countries, or await the shock when the bill itemises those calls made and received outside their home country..
A European Commission survey of 27,000 homes across the EU found that 24% of homes surveyed were only using their mobile phones and 5% were now using the Internet to make calls. This still means that the majority still use there land lines but the survey also found that the trend away from land lines had significant variance between countries. The figure was as high as 39% in the ex communist countries as governments there found it cheaper to move to mobile than upgrade old networks. Understandably, in Finland, the home of Nokia and mobile technology, the survey found 61% were mobile only. The survey also found that although around 50% of household have Internet access only 36% are broadband. A separate Commission survey cited the roaming tariff charges outside of a household’s home state as being the factor that was holding back the wider adoption and switch to mobile. In July the Commission will decide on whether to impose caps on the price of roamed texts. Regulation on roaming charges looks inevitable but there is also recognition that there is a difference between text at one end and data at the other. Your Japanese students want to learn English but are failing to make the grade. What do you do? Tokyo Joshi Gakuen school in Japan believe that they have found the answer in deploying that darling of Japanese students – Nintendo. Reuters report today that junior high school teacher Motoko Okubo has introduced the handheld DS and textbook software. The move clearly surprised students, whose personal devices have todate been banned from the classroom. Interestingly the move has also show encouraging results and the report quotes her saying, "The students are really concentrating and have fun in gaining skills such as spelling," she said. Japan's education ministry leaves decisions on teaching tools to schools and so far, it's only English that is being used at the all-girls school. However other schools are now using the device in maths and Japanese classes and Nintendo's range of advanced and easy-to-learn games now include education titles. Is it one off or the being of a trends to use ubiqitious deves to engage and encourage students to learn? Will it only succeed in high tech savvy countries such as Japan? It is an interesting exercise to use the devices that the students are familiar with and use outside the classroom to help them in the classroom. We have seen the huge adoption of games consoles and perhaps they offer a more engaging student interface and wiser investment than even a laptop or a whiteboard. Years ago PDF was seen as the simple way forward and one man’s PDF was the same as any others. Today as with all standard formats, it has evolved and different markets have used and developed it to meet their needs. So what is PDF? We all understand it to be a fixed page format but what can one do within it? What is the difference between print-ready PDF and text PDF or web based PDF, rich PDF, text under Image PDF, interactive PDF, bitmap PDF? Are these one man’s definitions, or as we often find open to debate and even named differently according to who you talk to? There are significant difference between some PDFs and these may restrict what you can do with them or the work required to fully exploit them. Has anybody ever written the ‘Dummies guide to…’ or have we all assumed everyone knows what everything is? As we go digital then many would suggest that there is two defined formats PDF and XML. But just as there are many XML variants and a need to standardise these with respect to sectors there may also be a need for a clear reference as to what are the different types of PDF, their attributes, optional features are and where they should or not be used. Years ago, in an earlier life around the mid 80s, I was part of the team at UK DIY retailer B&Q given loads of bad press for introducing trading terms which made it mandatory for all suppliers to trade via EDI. We actually only ceased trading with one partner over the issue and ironically a few years later they were back and fully supportive. Changing trading practices is not easy and in the case of the book trade often fraught with challenges in terms of its many to many supply chain. But trading stances have been taken in the past over the original introduction of the ISBN and the expansion of the ISBN to 13 digits. So it was interesting to read today Personanondata’s blog ‘ISBNs on all formats’ which was kindly alerted today’s Book2book. The article states the obvious but also highlights that the view is not one universally held those in the US. In fact the attached comment to the blog clearly demonstrates the divide. Bleats of; its too hard, there will be too many, it will cost too much and do I need to, can be heard from some quarters, allegedly. Forget the posturing and politics this is about product identification and is a basic foundation to all inter-company ecommerce and communication. It is as much about upstream as it is downstream and is fundamental to trade. An old friend Tom McGuffog, Director of Planning and Logistics Nestle and ex chairman of the UK Article Numbering Association (the UK EAN standards governing body now know as GS1 UK), once said ‘ uncertainty is the mother of bad trading, only by removing uncertainty can we trade efficiency’. So what if there are; 10, 20, 30, different ISBNs against a work? Each will be a unique rendition, may have different rights associated with them; different commercial models, even have different features and apply to different channels. Surely identification and consistency is a must. Today many believe that we also desperately need a work identifier and the best practices to adopt it and deploy it. Some believe that it exists today in the form of the ISTC but that it has stalled, lacks a champion and roadmap and now needs to be adapted, adopted, marketed and deployed. Is it an identification silver bullet? No, firstly it is an attribute associated with and ISBN (a secondary reference), but it can go a long way to enabling the consistent grouping of ISBNs under a work, which will help everyone manage more ISBNs and will also help consumers select and choose the right rendition, which after all is what its all about. Many also believe that we also need an answer to the identification of fragments and chunks. Some have argued previously for the DOI, but if fragments were to be popular do we only see them being sold digitally. The answer is that the DOI is a great resolution system for the online world, but it doesn’t fit neatly into the retail and physical world. The identification of fragments is not a burning issue today, but it will increasingly become one tomorrow and merely allocating more ISBNs to these may not be the answer. We have many issues in the digital arena, but if we can’t agree and adopt what many believe is both simple and logical today and what has come fully endorsed by the standards bodies the industry has invested in, some would question what hope have we of resolving some of the more sensitive issues. We were somewhat taken aback that The Bookseller reports today ' Buyers Circle BookRabbit'. The report that‘four buyers have expressed an interest in taking over the e-commerce side of Retail8, which includes the BookRabbit and Samedaybooks websites’. Times are not easy, so new ventures such as BookRabbit are often prone to speculation as investment is high. From one side offers may start to look an easy way to recoup investment and move on and from the other a potentially cheap buy before value is established. There is little wrong there and this will always happen especially when working capital tightens and the business demands more investment. Some may suggest that it could be a easy way for a trade house to create social traction. BookRabbit has many good things going for it, but still has to deliver if it is to make that leap to be a serious contender in an already crowded space. It has had its press feature articles but its now time to spend to maintain its high profile and deliver traffic. Some may question whether BookRabbit has that combination of social and commerce to make a compelling case, or whether it just becomes another social site with much rabbit and little commerce. When you look at others it’s often very easy to see their attraction, stickiness and potential, but again some would question whether its here in enough quantity to make a difference. Its not a case of building a social grouping and then flipping the commerce on as others have, but having the commerce model and social side by side from the start. This is a tall order unless there is something that is so different and compelling it makes sense from the offset. We hope that they can resist the offers but if someone comes knocking and has the cash, many would be tempted to take it. Nokia will pay $410 million to fully aquire UK-based mobile phone operating system owner Symbian. This is a major move and clearly throws the gauntlet down in the mobile operating system market. It has also announced that it plans to make the software, which is used in two-thirds of smartphones, available for free. Smartphones are the emerging market with Google to launch their Andriod and Apple’s recently announced upgraded iPhone and Microsoft’s Windows Mobile all contending for this growing space. Nokia, which makes 40% of all phones sold globally, will pay E264 million for the 52% of Symbian it does not already own. Many of the leading mobile manufactures use Symbian and those with stakes in the company, such as; Sony Ericsson, Ericsson, Panasonic and Siemens have accepted the offer for their shares. Nokia now plan to develop the platform and establish a common operating system and user interface and the operating system and user interface battle win be an interesting one as Nokia and the manufactures square up to the PC ‘downsizers’. Many of the current mobile offers look and feel clunky and the real test will be developing the right user experience and interestingly this today is being lead not by Symbian but the likes of Apple. Ebrary, the digital content resource platform, have released a 2008 global student eBook survey. The survey was a collaborative one with more than 150 colleges and university librarians and received close to 6500 student respondents from 400 institutions in 75 countries. The break down of students was very interesting as 2707 were from Italy, 2143 from the US, then a drop to 511 from Canada, 529 Hong Kong and a further drop to below 100 and four countries later the UK with only 45 responses. The major course of study was engineering with close on 2000 students, the remaining ones were then spread over a wide range, with only three registering over 400 students; architecture 525, Business 439 and Computing 401. We are not here to question the skew of either the geographic location of the students or institutions, or the narrow band or subject representation. Some may question whether the responses are representative enough to use as a generic barometer of students, institutions and ebooks in higher academia, but they do raise some interesting issues worthy of further qualification. Although the majority (57%) of students acknowledged their libraries had ebooks, some 39% did not know whether they did or not. The question of whether reflects the volume of material available is questionable and the survey’s analysis concludes that the figures closely correspond the previous years survey of librarians and the findings that 63% of libraries had over 1,000 and 37% less than 1,000 ebooks. This finding was supported when they were asked about what would make ebook usage more applicable - the highest score was against the requirement for more titles in their subject 81%. This would indicate that even in the academic world publishers have some way to go in digitising all the content. When asked about their preference for using an electronic or print version the majority not only preferred electronic but also for working online. This is logical at electronic resources in these environments make more sense when aligned with other online resources. The top five reasons for using ebooks were; environment, anytime, anywhere access, searching, sharing and storage. The obvious one to watch is sharing. With the exception of anytime, anywhere access these reasons were the lowest scorers against print books and were joined here by information currency. When looking specifically at ebook features students top four scores were searching, anytime access, off campus access, multi user access and ability to download to a laptop. Students obvious seek portability but when interacting with the information they want laptop functionality. This would indicate that it is unlikely that students would not use the current ebook readers which are one dimensional and in the case of the Sony, read only. Interestingly on the question of making the ebook more applicable, the second highest need (68%), raised the thorny issue of publisher restrictions on printing and copying. In this environment these are clearly seen as barriers to use. The survey may not be fully representative of the academic market but clearly highlights many interesting issues and is well worth a visit. Amazon continues to make much noise in the media space and it’s interesting that its not just focused on books or the Kindle. 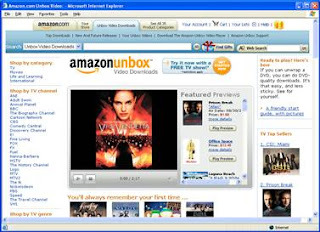 The Telegraph is reporting that Amazon.co.uk is preparing to launch its DRM free Amazon MP3 service in 2008 in the UK. This will clearly go head to head with iTunes, HMV and Play.com. The DRM free and Amazon pricing will appeal to many and increase the movement towards a DRM free market. Amazon.com has moved onto streaming video and has announced a new service that is to come on-stream in the next few weeks. The will be based on an a la carte for pay , scheme and again is firmly focused at competing with the likes of Apple in the growing digital marketplace. We then return to where it all started – books and Bezos’s biggest adventure, the Kindle. Everyone is talking it up or has an opinion on it and today, it only has one serious contender, the Sony Reader. So it’s a two horse race to capture both market and the hearts and minds of the consumer. Or is it? Amazon has clearly got the edge over Sony and Adobe when it comes to getting content and has increased its etitles to some 125,000 whilst its competition lags someway behind. But how do we go from 125,000 to millions? How do we make ebooks ubiquitous? Amazon is in the best place to pull the publishers through the hedge but its not just publishers, authors and rights. Today’s devices are still in their development phase with respect to eInk. We still do not have colour and the devices themselves remind one of the mobile phone ‘bricks’ we saw in the early 80s. So it was interesting to read in The Washington Post that Pacific Crest analyst Steve Weinstein predicts that global e-book sales at Amazon could reach $2.5 billion by the year 2012. He also assumes that based on this that Amazon’s bottom line benefit will grow with the increased margins and cost reductions available through digital sales. We have all heard wild predictions on digital media. The predictions themselves are unimportant but what is important is the clear drive towards digital content across all media that can then be rendered and serviced through both existing physical formats and channels, or new digital ones. Music is starting to tackle the thorny issue of DRM, video the delivery channel and books the fact that we still don’t have the content digitised and available when the market is starting to waken! Amazon appears to be nicely positioned to globally control all three channels and is positioning itself as the one stop shop yet again. Why is the news of Blackwell’s in-store print-on-demand offer so significant? Firstly, it makes a bold and decisive step towards the model of distribute and print and away from the old print and distribute model. This brings manufacture closer to the consumer, cuts inventory and makes a lot of sense in the current high fuel environment. We have seen the emergence of fuel surcharges and they are going away in a hurry. Forget the paper being from sustainable source that has little significance when the journies burn more that any other element. As an industry we have been spoilt by low cost freight and haulage. We may think our supply chains were inefficient,well hello - any inefficiency has just exploded. All transport will cost more, albeit the shipping of materials to the printer, books from the printer to the distributor, the distributor to the wholesaler, the shipment to the retailer or the shipment to the consumer and then there is the returns. It will be interesting to see if the manic discounts shrink back to absorb costs or whether the price is merely ring-fenced and directly pasted on. So it looks like Blackwell got their timing right on the that side. If we also look at the Blackwell business they are in the academic and campus space which is where the vast majority of the current print on demand files are. So overnight they can fully exploit a readily available wealth of material that is applicable to their customers. So it looks like Blackwell got that right too. Blackwell also is historically placed in university and cathedral cities which are not just about students but a high population of readers who value books. This step may see them stealing back customers from those other stores who are often academic pretenders and also create that spark, innovation and event that will separate them from the pack. It also worth noting that Blackwell can now provide a new service to rivals, libraries, authors and become a print on demand hub. It here, that one has to wonder why John Smiths, with its connections weren’t first. Vince Gunn, Blackwell's CEO, is a retailer and a canny one at that. In this move he not only has made a considerable grab for the high ground, but has also taken one which fits perfectly into his offer. Now for the real question – where will the machines go in the store? In the flagship store in Broad Street Oxford the used books and real bargains at upstairs and not in the storefront.We would put the Espresso machine in the shop window and make it the front of store offer. So we now await the position with great interest and hope its not hidden away at the back or upstairs. As for the rest of the market, their consolation is that the price of the machine should now be dropping fast. Thanks to the guys at Book2Book we were alerted to a promotion Nick Harkaway's debut novel 'The Gone-Away World'. The promotion is being handled by creative digital marketing agency, Hyperlaunch and the result is certainly different. At first it took us time to work out where everything was. What the screen was for? Why the big desk? Why the screen was sliding all over the place? Our browser was also configured to block those annoying pop up windows so we had a few challengers there. After a very short while we found the hidden material; interviews in the TV screen, links to his My Space, twitter, face book spaces and his wikipedia entry and his blog. The hidden content continued; a biography behind his photo, the voiceless dragon hiding in the dark , the characters hidden in the filing cabinet, the podcast in the phone, the links in the PC, the recipe in the sandwich (we nearly missed that one). Tthere was probably much more we didn’t find and in some ways it was like trying to find hidden treasure, we just wish there was a clapometer or score board that we could judge our success by. ‘You scored 9 out of ten and win a 10% discount to purchase the book! Well it’s different! We, as always, fully support experimentation and the new but we are somewhat taken aback by the level of experimentation to sell what after all is a traditional book. If the content is so cutting edge to warrant a cutting edge campaign , why not create a digital content experience and multi media novel? It’s a multi media promotion for a single dimensional product. If I buy the ebook will I get all the extras? It was also interesting to view the first 57 pages via the widget on Random House’s web site, but confusing as there appeared to be two hardbacks with different prices. Maybe we are just thick or simply missed something? Joining up dots is a hard thing when experimenting and it’s often easier to ring fence the experiment to protect the standard approach. But why not use the widget and actually show the content on the promotion? After all it’s probably the only thing that isn’t used on the site ,or perhaps it was hidden behind something we couldn’t see. When we go to the Random House site there is a clear lack of extra material that is obviously available. There is no interview even though there is a space for it and there are several on the promotional site. At www.rBooks.co.uk they proudly list all the Random House author sites and blogs but alas Nick’s isn’t on the list. We wish them well and hope Nick reaches his audience, but would suggest that the devil, as always, is in the detail and joining dots remains as always the challenge. We all are very cautious about generalising and are very aware of the huge variations in the services offered by agents and their individual performance. In some cases the agent is little more than an estate agent, a football agent or a dating agency, merely connecting parties and agreeing terms, in others they are akin to mangers and take care of the author’s life. Somewhere between these two extremes lies the vast majority. Today the roles and relationships are changing. We now have the ability to connect authors with the market in ways that were not possible only a few years ago. The world is no longer publisher centric it is consumer centric and this dramatically challenges much of how we worked yesterday. Recently we have even seen an agent trying to position themselves as ‘publisher’ and take on rights reversals on a print on demand basis. Today we read in Publishers Weekly that Simon and Schuster are setting up a speaker bureau. This joins the ranks of other major US trade houses and is focused on finding its authors speaking engagements. Also today’s Bookseller tells the same story albeit from a different angle, with PFD agency stating that they want to develop their brief to cover public speaking, presenters, exhibitions and manage their client’s careers. It will be interesting to see where the role of the agent goes tomorrow. The question is who is best equipped and who has the longer term interest in the development of the author, their brand and development of their fan base? Do either agents or publishers, as we see them today, have the skills and long term commitment? Do others enter the market to fill any void and in doing so create a new social community, or do authors have to do it all themselves? We can all dream of a complete wireless environment, where instant access to anything is achievable on the move. Anything, anytime, anywhere. What this would do is seriously change the devices we use and how we communicate. No more hot spots or patchy service, just a constant high performance connection to everything. Download and watch TV on demand , music a click away, instant shopping comparisons in store, up to the minute news, alerts, weather, GSP and of course exchange of information.Today we areachiving it as individuals, albeit slowly, tomorrow we may achieve it as communities. It will revolutionise how we work, communicate and social networking. It has dangers, but at the same time significant potential. We read in the NY Times today that Philadelphia, the city of brotherly love, aims to provide free-of-charge outdoor Internet access throughout its 135 square miles and in doing so become the largest US city area covered by public WIFI. Philadelphia, a city of 1.4 million is the 6th largest populous city in the US and 49th in the world and had already signed up to the Earthlink WIFI city wide service which it started in 2005. The service was plagued with issues on performance and connectivity and had only achieved 6,000 registrations when was abandoned earlier this year. Now that city council has changed supplier and plans to complete and improve the network with people being able to buy a $200 device that will bring the service into buildings, offices, homes etc. It may no longer be entirely free but it now has the potential to cover the city inside out. Corporate customer revenues would now pay for the distribution of the network signal throughout the city and most notably to deprived areas where Internet access is not a given. It may take time to fully roll out and others may overtake it, but we are starting to see the democratisation of access and connectivity in major urban areas. This will in turn lead to the democratisation of communication and social communities. We are starting to see the shoots of a radical change where communication and information changes from one way to all ways. Where contribution is welcomed and desired and the relationship between creator and user starts to change. This will change publishing as we know it today and how we value creativity and contribution as users. Today’s Times article 'Music sales fall to their lowest level in over twenty years' must send yet another shiver down the backs of those who run the major music production companies. Worldwide music sales are now at their lowest level since 1985. The figures released by IFPI yesterday stated that the equivalent of 1.86 billion albums were sold last year (for comparison they counted ten individual song sales as being the equivalent of one album). So what does this tell us about the state of what we all know is an industry going through radical change where the once dominant record producers are being squeezed from both ends of the value chain the artists and the consumer? The sales peaked in 1996 at 3.4 billion so have effectively halved in just over a decade. 1996 ironically was the year when the Internet started to change from being the old dirt track to the superhighway and companies such as Amazon were becoming established. Today CD sales are not only collapsing in terms of volume but have finally also collapsed in terms of value with prices now being significantly discounted down from those heady days when some would have said that the industry fixed high prices in the UK. This double collapse is further compounded by digital sales continuing to fall far short of bridging the gap. Production company revenues in the UK are 13% down and on last year. On one hand UK CD sales fell by 16% to £871 million but although digital sales increased 28% this only amounted to £132.2 million. Today the consumer wants to make their own compilations and not pay for the extra tracks they don’t want. The charts are revivant to a few but not to the many and social sharing as it always has been is a given. The IFPI is calling for the usual suspect to be culled, fined and thrown in jail claiming that between 50 and 80% of ISP traffic was accounted for by illegally swapped content. To us a 30% variable would appear a wide margin of error and would serious raise the question of whether they actually know the facts or whether a lot is based on assumptions and the fist waving we are used to from the production companies. Music companies and lobbyists are trying to reach agreement with ISPs but this is not the problem. The issue is a value chain shift that is disintermediating one of the previously strongest links in the music chain. It isn’t about copyright infringement its about change. Change in how artists are taking control of their revenue streams, branding and merchandising. Change in how, when and what the consumer wants and is willing to pay. Change in how the artist and consumer are linked and the relationship. The music business is still huge and influential. It will survive and make money going forward but it will change and have to change. Some look to other media sectors such as book publishing and ask what are the lessons we can learn from the music industry – and there are many. We would say that the one thing that is certain in any value chain is that once you stop adding perceived value then your place is in question and that no one has a divine right to remain in perpetuity. There is nothing wrong with Book Clubs and one could say that the best examples of these are thriving today everywhere we look. That statement may appear to be incorrect to many as they automatically think of the lumbering old Bertelsmann model and others such as the Good Book Guide. What is wrong is not our opening statement but the definition we all automatically assign to the word ‘Book Club’. In the past book club was a mail order operation that offered a regular catalogue, individual reviews, discount and that famed and that often hated ‘book of the month’. Just as all catalogue based retailers they offered convenience and selection. One of the greatest mysteries of today was why so many failed to migrate to dominate today’s world? The catalogue of missed opportunities and errors is long and painful but in essence they just failed to understand or see the need to change their model and when they did it was too little to late. Today Book Clubs are successful and many new models are appearing. Amazon is a book club, Shelfari, BookRabbit are book clubs, Richard and Judy and Ophra are book clubs, Reading Groups are book clubs. We have to break out of thinking and defining Book Clubs as BCA and then saying that they are dead. This is both naïve and shows a basic misunderstanding of what ‘clubs’ are and the social and emergence of special interest communities that are thriving today. However, we here this week of the new Progressive Book Club in the US, that is building itself once again on the old ‘buy three for $1 and commit to four more over two years’ model. The other element of the old model being adopted by them is ‘twigging’ (the focusing on a specific genre or even sub genre). Twigging worked well before the Internet and allowed special interst clubs such as the History Club and the many Bertlesmann clubs to flourish, but was undermined by the broader availability and search and discovery of the Internet. It will work today but only if it is built within a wider community and social network offer which is not based on just buying books. Merely selling a specific genre of book without added value is not wise today. Book buyers are eclectic animals and have often wider and diverse tastes, interests and seek this in their reading material. We wish the new Progressive Book Club well but we also recognise that they are doing nothing different merely following a well trodden route that is already broken. On hearing that the standard body MPEG (Motion Pictures Experts Group)will meet this month to consider making a new digital audio format called MT9 an international standard we thought we would bring out our trusted one armed banit slot machine once again. The same one armed bandit slot machine that we wrote about with respect to ebook formats earlier this month could be equally applied to MT9. The rows may change but the effective goal of lining up the three of a kind isn’t. This about lining up; production companies (EMI, Sony BMG, Universal, Warner); retailers (Apple, 3music, WalMart, HMV, etc); device manufacturers (Apple, Nokia, Sony, Samsung etc), and finally creating consumer demand. The new standard was developed by Audizen, a South Korean company Audizen, and is also known as Music 2.0. MT9 splits an audio file into six channels, enabling users to raise or lower the volume on the different channels similar to a sound engineer on a mixing board. Some claim that the new format will replace MP3 as the standard for all digital music. However as we have raised several times introducing new and replacing old formats is not as easy as getting them adopted by a standards body. In fact the history of standards is littered with standards that failed not because they were not suitable, or even better than those being used, but because all the dots were not joined up. In 2001 mp3PRO was introduced and licenced through Thompson. It provided advanced compression, halving traditional MP3 file size and also offering improved sound quality. It failed to join the dots and was withdrawn. Thompson are still trying to get traction with their MP3 Surround but again it looks doomed. So what dots are needed to be joined for MT9 to replace MP3. First all the producers would have to convert their existing files, not a mean or inexpensive task. The the device manufacturers, such as Apple, Sony etc would have to introduce or change their models to support the new files. This would need to be done inline with the current 12 month life expectancy of MP3 player and as more devices adopt MP3 such as mobile phones, MP3 becomes ubiquitous and device costs drop, this challenge becomes harder. It is easy to envisage the PC being a key element which could effect the conversion and use the features. However this poses some interesting rights questions and also would still need the mobile device change. Remixing is one thing but converting formats and enhancing copyrighted may be another. It is easy to see this re introducing the DRM battles that appear to being won today by MP3. The interesting situation is that the music industry may need to find an answer in order to capture further digital sales. Today’s DRM free MP3 files offer the consumer little added value over the CD and their ripping their own files. According to where you live you will experience different rules on Digital Rights Management and copyright. Is this any different to the physical world and if not then why would we expect it to be? Today we read that Canadians will be allowed under new legislation to copy legally acquired music to their iPods and computers but it will be illegal for them to break any digital locks that content owners have applied. The bill also shows common sense in exempting Internet service providers from liability for copyright violations by their subscribers, requiring them only to pass on notices of violations rather than their neighbours in the US requiring them to take down offending material. Canadians will be allowed to ‘time shift’ and record television and radio programs for playing back at a later time, but would be prohibited from retaining these indefinitely in a personal library. This sounds unenforceable and a little contradictory and what is deemed as indefinitely. The bill would reduce Canadians' individual liability for making illegal copies of music or movies for private use to C$500 from a maximum of C$20,000 but penalties up to C$20,000 per infringement would apply if digital locks were hacked, or posting music using the Internet or peer-to-peer technology, or for posting a copyright-protected work, such as a picture or video, onto a website such as Facebook or YouTube. It will also be illegal to provide, sell or import the tools to break digital locks. However we view the enforceability of parts of the bill, like most things Canadian it offers a fair measure of common sense. The question of how and how long digiotal locks will prevail is interesting and whether watermarks that merely monitor but do not inhibit are regarded as locks are some of the interesting points. A number of publishers have expressed a view to us that they believe that DRM has a limited life and the media such as ebooks will become DRM free. Our own view is that although this seems plausible in some media formats such as music it is hard to envisage in others such as film and games. The question is then where do ebooks line up? Today we received an invite to ‘Digitise or Die?’ and wondered whether the title had been dreamt up by a marketing person in search of a cheap thrill or someone serious about moving the digital agenda forward. Yes we have seen the full page adverts on the Bookseller but thought it was the title of the latest high adventure blockbuster. The answer that it is the latest in a series of conference seminars from The Bookseller. It appears that there is now a conference, or debate, on digitisation every month, each is aimed at the same publishing people. In this case; ‘Publishers, digital directors, editors, authors, marketing directors, publicity directors, retailers, digital strategists, digital consultants, agents, digital design agencies, software providers, warehousing and distribution IT specialists, and digital asset managers’. Will anybody be left in the office on 3rd July? ‘Digitise or Die?’ is at best scare mongering and at worst bad copy. Does it promote digital strategies, inform and educate and share best practice or is it merely there to fill conference seats? Do we now have to resort to a title fit for a fiction best seller in order to differentiate one digital conference from the pack? What will be next, ‘Temple of Digital Doom’, ‘The Digital Conspiracy’, ‘The Digital Eagle has landed’ ? Perhaps we are to blame in using the title ‘Brave New World’? It interesting to note the agenda which is very wide and covers every conceivable digital angle, that is except death and one mention of the word author. There are some interesting ‘book people’ speakers, with a keynote address from what some may refer to as a digital kleptomaniac and a chance to see not all the ebookreaders, but that one earmarked for a Waterstones launch in the late summer. There is also the usual self prophesying, consumer research. The one gem in the agenda is the presence of David Worlock who is always interesting to hear and has genuine insight and knowledge on digital matters. Can we remove the fear factor sound bites and focus on the opportunities that digitisation brings to the table. Who Said Microsoft Were Control Freaks? Imagine entering a theatre or cinema and your phone being automatically reconfigured to vibrate or on entering a Hospital the device is effectively switched off, or in galleries and museums or at a pop concert the video and photography is disabled. Microsoft has filed for a patent (patent application 2008/125,102) on technology it feels could address such situations by what it refers to as a "digital manners policy," or DMP. The present invention includes methods and technologies for defining and administering device manners policy ("DMP"), propagating DMP, reception and recognition of, and compliance with DMP. Such policy may be used to communicate to various mobile and other devices the "manners" with which compliance is expected or required. Similar to some of the social manners honoured among people, such as with "no smoking" or "employees only" zones, "no swimming" or "no flash photography" areas, and scenarios for "please wash your hands" or "no talking out loud", devices may recognize and comply with analogous "device manners" policy. DMP-equipped devices would be enabled to receive and apply DMP "instructions" from a short-ranged and/or physically restricted broadcast device. There is often a long wait between patent and deployment and this one obviously has many hurdles to jump both in terms of interoperability, device adoption and not least privacy. It is frightening that the technology in theory exists to switch the lights off just as we are all just being switched on. Social responsibilities and manners are one thing but this could be a nightmare in the hands of overzealous or misguided people. We have all witnessed the ‘We Think’ world described so succinctly by Charles Leadbeater. Readers have started to become users and are now contributing to the content not just digesting it. The best examples of this are Wikipedia and social sites such as You Tube. This has lead to the debate on the value of expert contributions and editorial versus self governance and somewhere between is probably the ideal model. The Encyclopaedia Britannica, which relies on expert, edited contributions for its content has now, according to a post on Ars Technica, started to change. They have announced a tightly controlled system allowing users to generate and comment on content. Britannica are not embracing the wiki model but a "collaborative-but-not-democratic," one. Contributors to the Encyclopaedia are being encouraged to create detailed profiles on Britannica's site, qualifying themselves and listing their other works on the topics. Once accepted these ‘experts’ will be enabled to comment on entries, update their own versions, or even add new content. The difference being that to be involved users must provide a full identity and qualification. Britannica's editors will be on the watch for any relevant updates to their material, and have the option of incorporating user-generated content if they feel it's of sufficient quality and importance. The user will be fully credited for their contribution. Although a significant change, we would question whether its too little, too late. Wikipedia may have some errors and not be perfect but its content covers a far wider subject matter and is also more topical. Wikipedia continues to defy all the logic that Britannica was built on but it now appears that they are starting to acknowledge that, albeit very cautiously..
Our good friend Mike Shatzkin has shared with us a speech he gave in LA last month to the PMA Graduate School. The paper ‘Where the Web Is Taking Us: The Inevitable Future and the Publisher's Role In It’ can and should be read in full and as always you will find things one agree with and others you don’t and we guarantee, something that will make you think. Although we agree with much of what was said, we wonder about the overriding premise of Mike’s argument that generalist and horizontals are dead and niche and verticals will rule. We agree that the economies of scale and scope that existed in the physical world do not prevail the same in the virtual one. However we recognise that the virtual one has its own horizontals. After all Mike’s horizontal argument would apply to Amazon being as dead as Barnes and Noble. WE agree that niche verticals will grow but we also firmly believe that aggregation and one stop shopping will also prevail. After all reading is not about the long tail as much as it is about satisfying eclectic reading taste. It always has been the same and any good bookseller will tell you that consumer’s baskets are often as unpredictable as life. Interestingly how we ingest different material and use it will differ between different genre, niches according to the role we play and what we want from it. What is certain is that the book clubs biggest problem was not providing niche offers but in not understanding eclectic tastes and respecting individuals. This lesson is little understood and often misrepresented and publisher are not booksellers and booksellers are publishers. Again a lesson little accepted let alone understood. We have long disagreed with the view that digital means perpetual licence and effective copyright ‘land grab’ so again this is an issue that needs to be addressed and not assumed given. We agree strongly with the thoughts Mike starts to convey near the end of his speech, that he book may not be 256 pages, shape, size and weight, or whatever the optimum physical format economics dictated. The book of the future may be short and not need the font size adjustment to make it fit. It may be serialised or multi media or have different content extensions according to the format. The last point of Mike’s speech focuses on moving upstream in the publishing process and what he refers to as ‘start with XML’. We again agree that digitisalistion is about the total publishing life cycle from author to the reader. It is not about the end formats, channels and reading devices. It is about developing digital content from the start alongside the digital context material that describe it and support it and the rights that cover its terms of usage and ownership. We don’t see this as totally dependant on ‘Esperanto’ technologies such as XML, but it positive start. Last year Apple redefined mobile phones with its iconic iPhone. In doing so, the move not only exceeding user expectations but set a new bar for others to chase. Todate it has sold some 4 to 5 million units (who’s counting) and that is despite it not having 3G capabilities and being tethered to exclusive network arrangements. Today the market has moved on and others have raised their game, repackage their offers and we are down to round two. Yesterday saw two contrasting opening salvos. Steve Jobs announced a new version of the iPhone and Nokia the world's largest maker, announced its E-series (enterprise handsets) and the launch of the top-of-the-range N96. N96 will come with 16 gigabytes of internal memory and is expected to retail around $870. The new iPhone in contrast will at last have 3G, 3rd party applications, a slimmer design, run faster over the networks loading internet pages 2.8 times faster than before, have 8 gigabytes of memory but importantly it will have a lower price of $199.There will be a higher model with 16 gigabytes will cost $299. Wireless network companies will no longer pay Apple part of the subscription fees they get from iPhone users, but instead will subsidize the devices up front to make them cheaper. Importantly this move effectively buries the iPhone’s expensive tag and moves it into the commodity pricing bracket. The development of web applications and ‘Mobile Me’ clearly sets up Apple against Google, Microsoft and most importantly Nokia. They now target to sell 10 million units by the end of 2008! What we are seeing is both a significant business model and pricing shift plus further logical development and this will certainly unsettle others. $199 is a classic price point for what is still a classic mobile. Ok all news is good news and we are now starting to witness what happens when the market starts to talk itself up and the momentum becomes to be self prophesying. This can only be good for the ebook readers and the market take up but these type of statistics are at best questionable. If these figures are fact and as claimed there is a direct correlation between the eink screens shipped and sales achieved by Kindle and Sony then they are current selling 60,000 to 80,000 units a month and this will increase to 120,000 month later in 2008. Also he notes that there is 60/40 split between Amazon and Sony, which some may say is very generous to Sony. What ever the reality we are guessing on the units sold and to whom they have been sold – the stuff of urban myths. The truth in the UK is neither device is here today and when they land, in the early Autumn, this urban hype will only grow. Publishing is not about selling ebook devices, but about selling books. The author gets paid by the numbers of books sold not the number of devices sold and the compilations given away as part of their launch. If publishers can’t say today what files have been sold in what format and through what channel, including promotional titles, then what message does that give to both the consumer and the author? - mobile advertising revenues are expected to increase to about $150 billion worldwide. - the mobile telephone customer base has increased from 945 million in 2001 to 2.6 billion in 2006. Has the printed tabloid, which is some 100 years old, had its day? Will newsparint now loose out and Internet which in term will become the primary news and information source over the next few years? Will newspapers migrate their ad funded business models to the Internet markets or will the dominant search engines take the advertising revenues? Newspapers and journalism work today in the printed form but as the market shifts will the relationship continue or will it change? We all assume that life cycles remain with the same players merely adapting to the change but that is not always the case. The next decade will be an interesting one to watch in newsprint both it terms of the delivery of the news to the market, the relationships between the journalists, editors and owners, where the advertising spend goes and the business models that develop. UK ISP, Virgin Media has agreed to work with the BPI, which represents the interests of the UK recording industry, to send out warning letters to subscribers who the BPI has identified as sharing copyrighted material. The saving grace is that they will not be adopting the draconian ‘three strikes and you’re out’ policy that was previously advocated by the BPI. ‘The Register’ claims to have obtained samples of the letters that will be sent by Virgin and the BPI to suspected copyright violators. They shy away from the possibility of disconnection, ‘We don’t want you to face legal action or risk losing your internet service.’ The letters identify the differences between legal downloads and file sharing copyright infringement. This initiative may be seen by some as defending copyright and by others as King Canute trying to stop the rising tide. Reality is that it is merely sticking a plaster on a gaping wound. The BPI must ask itself what is the business model it is trying so hard to protect and how it value is communicated to the market? All the major producers are selling their catalogues many different ways and even enable the customer to get it free via ad paid model. What sort of message does that send out re the value of the material? The producers still get revenues, the advertisers have to pay, but the consumer sees ‘free’ and can’t appreciate the value of the copyright. The music producers have a track record of bad customer relations and bad communication and appear to be walking down the same road once again, others should know better. OK, we have said many times that its time wake up and smell the coffee and unless ebook reader devices prices drop below $100 they are just transient technology and frankly no more than toys for executives and novelties for geeks. That doesn’t mean that digital publishing is a waste of effort, very much the contrary digital publishing is about the total publishing process not the delivery mechanism. Today for the price of a regular notebook, PC manufactures can supply smaller and simpler laptops. The Computex trade fair in Taiwan, is now showing ultra-portable models and more are expected in the second half of the year. Remember the Mac Airbook? We all wanted one, but they were expensive. Now prices for lightweight and effective laptops are dropping. Analysts predict that low-cost computers, between 7-10 inches and weighing about 1 kilo, could end up replacing regular notebook PCs. They aren’t predicting tens of thousands of shipments but tens of millions. Most of the new low-cost laptops, running on Linux or Windows XP operating systems, will be in stores this summer, and some analysts say they could resurrect a flagging PC market. Intel’s Atom chip based products are to introduce Mobile Internet Devices (MIDs) which we have already written about, but they now also plan two new system tiers they call "netbooks" and "nettops." These new systems will fit below the standard laptop/desktop markets and are compact mobile devices focused today on children, first-time Internet users and people who desire an extra PC can use for basic computing applications, listening to music, e-mailing and surfing the Internet, playing basic online games, social networking and making voice over IP phone calls. Why not add reading ebook online to that? In fact think of the potential in education and academia or other social mass groups that desire low cost access. Intel’s Atom has competition from NVIDIA’s ARM based system-on-a-chip, codenamed Tegra and the VIA Nano. VIA, like Intel, is also capable of providing a comprehensive chipset/graphics/processor combination, and at a cheaper price. Some may say that all this could seriously question the ebook reader in its current form. After all why have a single application devise when you can have a multi functional one that is fully wireless, light and does everything you need for the same price? Some may say you need it for travel, to take to the beach and read in bed. Others that we already have that reader – the book. One of the lessons we learnt from reading Charles Leadbeater’s ‘We Think’ book was that of two way communication. Many blogs have always welcomed feedback and comments but we had decided early that we just wanted to present insights and comment on news and were somewhat apprehensive about accepting comments. We have received many emails directly about articles we have posted but now after over 400 postings we have taken the plunge and enabled comments. The first comment was posted today by our friend, literary agent and podcaster Peter Cox . Ars Technica brought the interesting issue of digital watermarks to our attention via their news desk report on 30th May. Watermarks are increasingly being seen as an alternative to DRM and can be used to track copyrighted content purchased from legal download services. The US think tank, the Center for Democracy and Technology, has published a report making recommendations for the protection of privacy when using digital watermarks. The report identifies two different types of watermarks; "generic" watermarks are the same to all versions of a particular file and "individualised" watermarks are embedded within copyrighted content to individual infringement and abuse. The use of individual watermarks is being used to track legal purchases of copyrighted movie and music files and enable copyright holders to trace the copies back to particular users or distributors, and potentially to launch legal action. The report recommends that individual watermarks use unintelligent numbers that can be match via a secure database to an individual and that no personal information is held within the watermark. The article rightly points out that although it may reduce infringement watermarks would not protect the content from illicit file sharing. They go on to state that ‘even if a watermark is found on a peer-to-peer network and can be proven to be genuine, that isn't sufficient to prove that the person identified by the watermark is guilty of copyright infringement.’ There main issue is the use of individual watermarks and the potential loopholes and privacy issues. The question of whether the individual can themselves secure the file from abuse is an interesting one and raises the question of whether legitimate purchasers should be exposed. We have long looked to watermarking as the way forward but this article raises issues that we would now think hard about as it is one thing to tag a file with a generic watermark that can be tracked and another to place a hidden personal trace on a file that a legitimate user may not be able to secure themselves. The announcement that HP will ship its PCs next year with Microsoft’s Live Search reconfigured is significant for Microsoft as it starts to try and rebuild its search share. Will it make a difference is questionable as many will merely unset it as their default and leave it dormant. However will they do the same with Microsoft’s Silverlight? Silverlight is their answer to Flash and this move may well increase its chances of competing in that growing marketplace. We envisage that competitors will once again raise the unfair practice questions and it will be interesting to see how Silverlight develops. 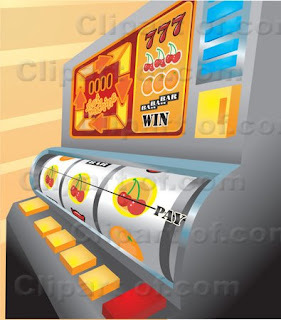 Everyone is familiar with the ‘one armed bandit’ or slot machine. Three cherries, or three of a kind and you win, two cherries and a pear you don’t. To many today’s the ebook download world is a one armed bandit. As the market adopts epub we can effectively put that cherry on hold and pull again. The next row is DRM and getting a cherry here is not easy or has implications. Adobe has the cherry but the implications on the next row – the device, may be significant and if there are only cherries in the row then that stops there maybe being three pears or three of anything but cherries. Next we have the device row. This is where we have to match up to the format and the DRM. Today we can have three pears tomorrow only cherries may prevail in the download world. We must remember this is a one armed bandit and although they usually have three rows this one has to have four and must include the consumer. Some today will supply epub files to a service who will convert these to their own delivery and DRM. The publisher sees three cherries but the consumer sees three pears. Most one armed bandits pay out differently according to the fruit. When the price of the device drops below $100 dollars then it is easy to see the market but today at $300 plus this is not the case. Online still offers three cherries and more flexibility as laptops shrink in size, weight, cost and wireless broadband becomes ubiquitous. Online is where today’s digital action is. Book Expo America in Los Angeles was wall to wall in stands of all shapes and sizes. Books filled the shelves and were piled on the tables and some stands even had thick pile carpet to loose yourself in. However stand 1217 was different. It appeared to have no carpet, shelves, books and was in fact a grey box with one door. Was this a new marketing scam? Was it Dr Who’s Tradis? There was no signage, not even any graffiti to tell you who owned it. Perhaps they had just cancelled but why would they erect a box and remain secret. On Saturday the box was surrounded by a long winding queue waiting for a book signing next door and no one seemed perturbed by the box. Then the door opened, a head glanced around to see that the coast was clear and out stepped a publisher and the door shut. A few minutes later a publisher approached the door, a quick knock and they were let inside. A routine to be repeated as on a pre ordained schedule. Perhaps it was a bordello to relieve stressed publishers? Perhaps it was a secret rites passage? Why was it behind closed doors what was so secret or was it just the embarrassment of yet another high profile technology company walking away quickly and quietly from their previous position.